The first of the characters I designed. 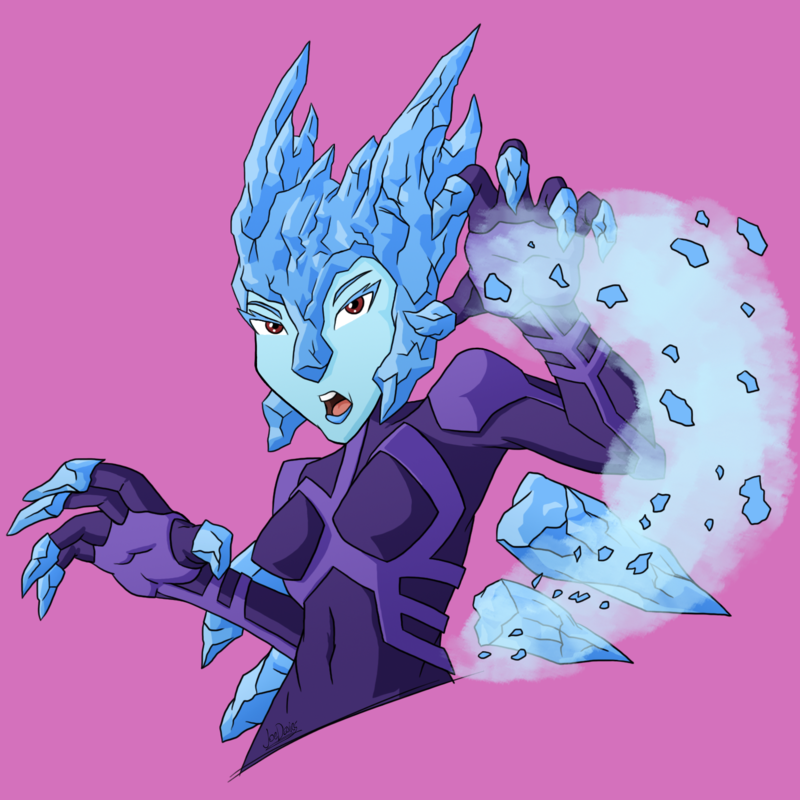 Her name is Freezra; a superheroine with the power to manipulate ice. Had ice on the brain when making this one.